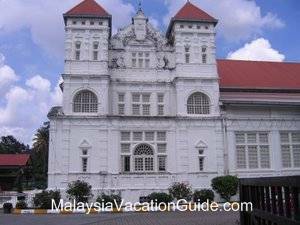 If you are planning to go for your holidays in Pangkor Island, you will most probably pass by this town unless you are flying directly to the island. 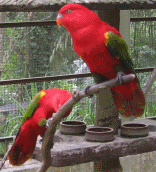 Its name is the Malay word which means moss or lichen. 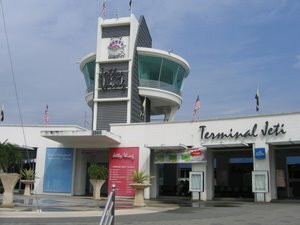 It has developed from a small fishing town of Perak into a busy tourist spot where you will be able to buy many of the sea products that are on sale at many of the shops near the jetty. 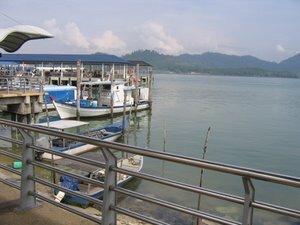 There are regular speed boats and ferries that you can take from here to Pangkor Island. The jetty has also been refurbished recently and is now completed with many modern facilities provided for the convenience of the visitors. 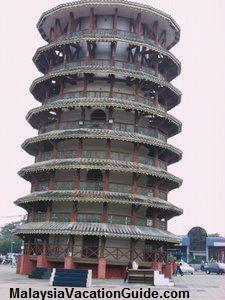 The town is located 84 km from Ipoh, the capital of Perak. The population of the town is approximately 32,000. 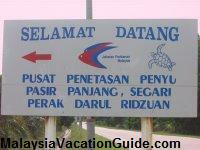 It takes approximately 30-35 minutes to get to Pangkor Island from the Jetty. If you are driving, there are plenty of private overnight car parks that you can safely park your car. The latest covered multi-storey car park was recently completed and this has helped to alleviate the lack of parking space especially during public holidays. The development has been boosted with the Royal Malaysian Navy making this town their home base. The recently completed Lumut Waterfront project has boosted the image of this town. 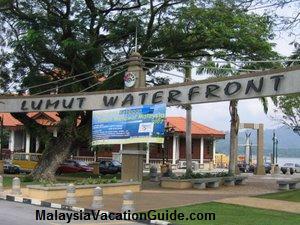 There are many things that you can do in Lumut. 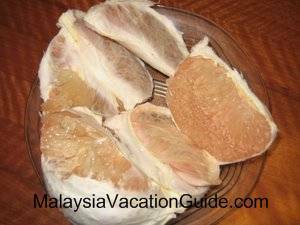 One of the best places to get reasonably priced sea food and souvenirs can be obtained in many of the shops that sell almost the same items. Try the "Satay Ikan", the spicy barbecue fish that is the popular sea product that is processed in Pangkor. You can also get T-Shirts, handicrafts and wood crafts that are displayed all around the shops. If you are hungry or just want to try the local food, there are some coffee shops that you can drop in and dine. Kentucky Fried Chicken is also located here. If you want something simple and low cost, you can walk to the food court near the Bus Station and try the food there. Row of shops selling sea products and souvenirs. If you have enough time to spare, try walking along the waterfront and go up the observatory towers and see for yourself the beautiful scenery of the sea and the islands nearby. Bring along your binocular and snap some pictures as a memento before you depart this town. For those with children, there are children playgrounds nearby where they can play while waiting for your transport to arrive to get you to the next destination. 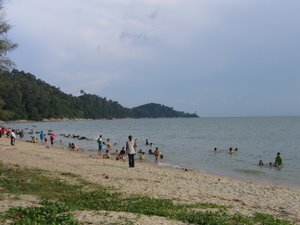 Other places of attraction near the town is Teluk Batik Beach, 6 km away where you can swim and enjoy the sandy beach. There are a few hotels that you can booked and stay overnight. 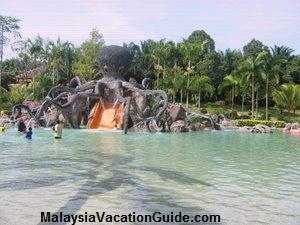 The annual Lumut sea festival is held here usually in the month of October or November. 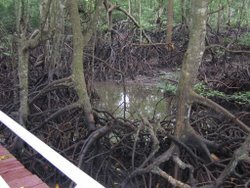 The other place to visit is the mangrove swamp near the junction to Teluk Batik. It is opened throughout the day and monkeys are a common sight here. The observatory tower by the waterfront. 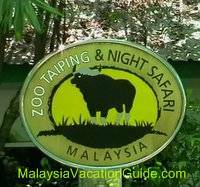 If you are in Kuala Lumpur, you can get to the town by bus or taxi. There are a few bus companies that come to this town everyday. 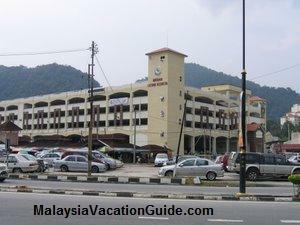 If you are taking bus, the journey from Kuala Lumpur to Lumut will take you approximately 4.5 hours. Taking a taxi is more costly but the journey will take about 4 hours as there will be fewer stops compared to taking the express bus. If you are driving, there are plenty of overnight parking lots available where you can park your car. The recently completed multi-storey car park is now opened for the public to use. As in any parking facilities, make sure that you double lock your car to reduce the possibility of it being stolen. For those going to Belawan and vice versa, there are ferry services every Monday, Wednesday and Friday at 10am from Lumut Jetty, Perak to the town of Belawan, Medan in Indonesia. 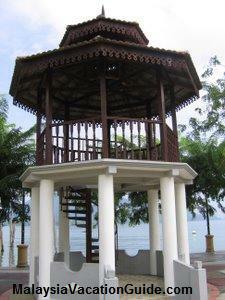 This means that more tourists will be able to visit Lake Toba, one of the favourite travel destination in Medan. The travel time is 4 hour and the fare is RM100 for a 1 way trip. 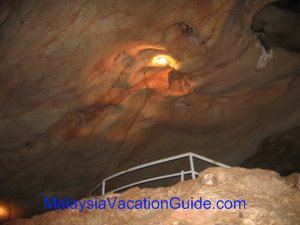 Return trip is priced at RM180, a discount of RM20. Two ferries called Aman Two and Aman Three from Speed Go Sdn. Bhd. will be used for this purpose. For more information, call the Tourism Jetty Centre at +605 680 4000. There are not many high end hotels in this town. The nearest hotel is The Orient Star Resort which is located by the sea. It is a 3 star hotel that is equipped with swimming pool and basic facilities. Another 4-Star hotel which is located in Damai Laut is Swiss-Garden Golf Resort & Spa Damai Laut, a journey by road of approximately 30 minutes drive from here. You will pass by 3 scenic bridges that overlook the Dindings River. This hotel and golf country resort is one of the best in this area and is equipped with many good facilities such as water sports equipment, speed boat to take you to Pangkor Island or Lumut, swimming pool, golf club, conference hall and its own jetty. There are other budget hotels with a good view of the sea that are available around the town near the waterfront area. Takea drive around before deciding which one would suit your budget. 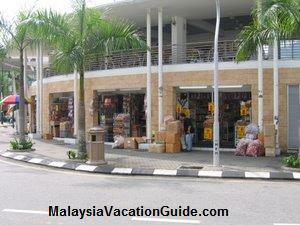 Get a list of hotels within the vicinity here.